When detecting a disk status as “Unhealthy”, it is wise to perform replacement and sync the data to the new HDD to prevent loss of data in the future. 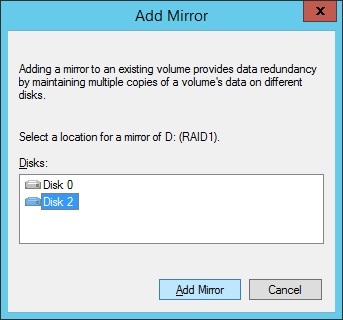 Step 2: Right click on the RAID partition that is part of the failed disk and select “Remove Mirror…”. Step 3: Shut down the server, replace the failed HDD and then boot up the server. 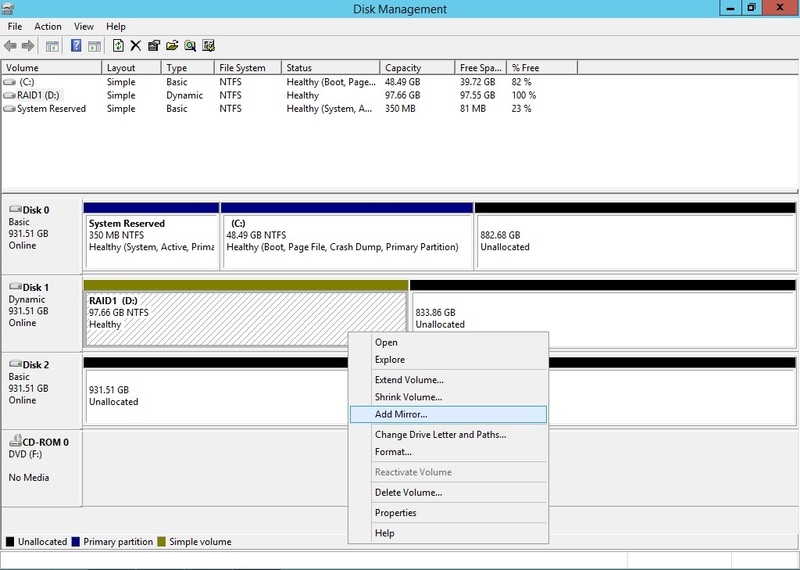 Step 5: Choose which disk you wish to create the RAID partition on and click the “Add Mirror…” butoon. Step 6: A popup warning regarding conversion from basic disk(s) to dynamic disc(s) will appear. Ignore it and click “Yes” to continue. Step 7: The RAID partition in disk 1 will be mirrored to disk 2. It will now perform resynchronization of the two RAID partition. After the resync process is done, check on the HDD’s health to ensure that the process is a success.